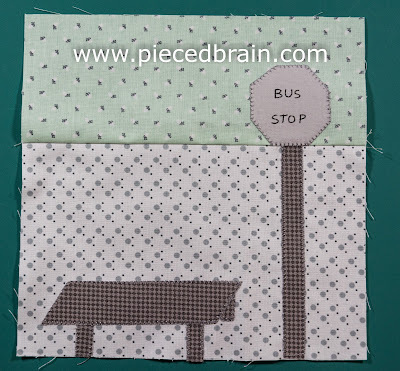 This is another common sight in cities - the Bus Stop - and it is block #21 for our City Girl Sew Along. Simple and fast to make: you can use one fabric for the background or piece it as I did. 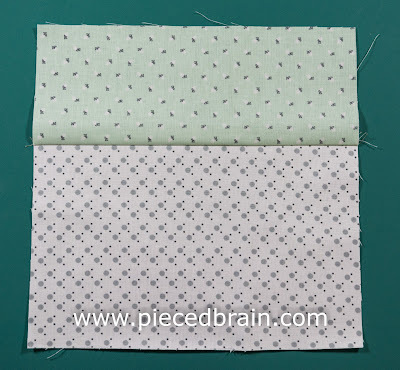 All fabrics are by Riley Blake Designs and the light green print is my favorite - Sew Charming C4546 - super cute! 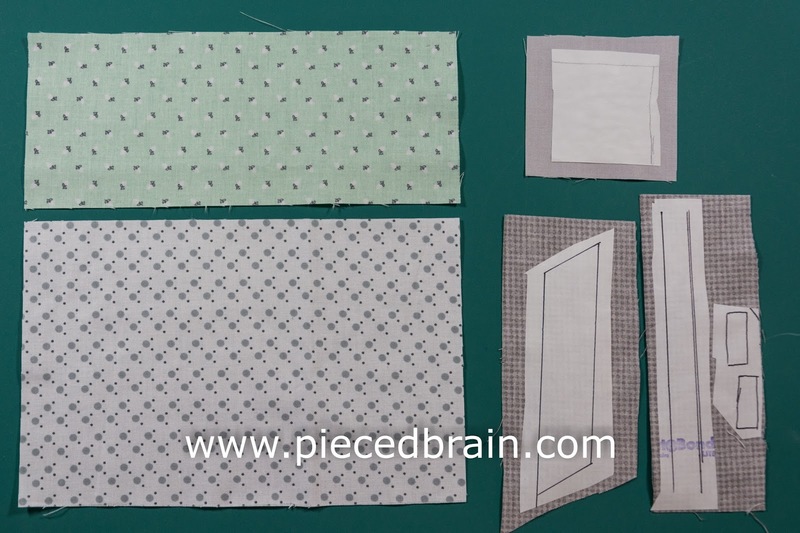 Gather all pieces next to your sewing machine. To download template click here and for details on how to work with fusible web, click here. The picture above shows templates fused to wrong side of fabrics already (except for the third leg of the bench which I forgot but added later). Cut around the fused shapes. Snip the corners of the light gray square so you will turn it into an octagon for the bus stop sign. Stitch background pieces together using a 1/4" seam allowance. Press seam towards green fabric. 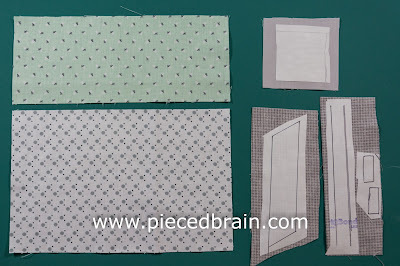 Fuse shapes to background according to placement shown above and machine applique with matching thread using a blanket stitch (or the stitch of your choice). Using the fabric marker, add the words 'Bus Stop' to the sign. Press on the wrong side to set the applique stitches. That is it! Thank you for sewing along for the past 21 weeks! Send me photographs of your blocks so I can feature them on my next post. If you are catching up with us you can find all the blocks on the City Girl Sew Along page of this block or in our Pinterest Board.